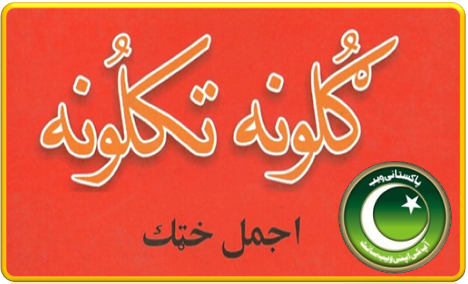 Guloona Takaloona Pashto Poetry book is authored Ajmal Khattak Baba.The Book Guloona Takaloona contains very nice traditional and classical Pashto poetry of Ajmal Khttak. Ajmal Khatakk was born in Sep 15th 1925 in Akora Khattak Khyber Pukhtoonkhwa. He was a Pakistani Politicain, Writer, Pashto Poet and Khudai Khidmatgar. Ajmal Khattak was remain president of ANP from 1991 to 19999, He was very close friend of Khan Abdul Wali Khan. He Also served as Secretary General of ANP from 1969-1973. Ajaml Khattak highlighted the miseries of Pakhtuns through his poetry. He was very strong believer of Bacha Khan’s Philosophy of non-Violence. 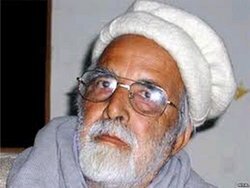 Ajmal Khattak was died on 7th Feb 2010, May his soul rest in peace. Ameen. Click on the following link to Download Guloona Takaloona Poetry Book in Pdf Format.